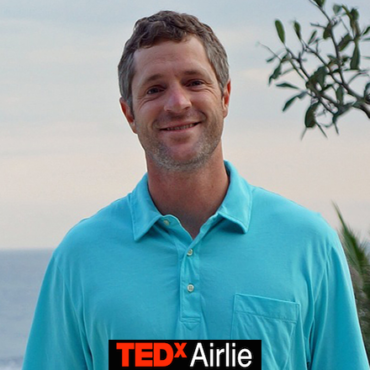 Our Founder/Owner, Cliff Ray, will be speaking at the TEDxAirlie event held at the historic Thalian Hall Center for the Performing Arts, Inc. in downtown Wilmington this Friday, March 29, 2019. Cliff will be speaking about Life-saving Listening. About TEDx: TED is a nonprofit organization devoted to Ideas Worth Spreading. TEDx is a program of local, self-organized events that bring people together to share a TED-like experience. At a TEDx event, TED Talks video and live speakers combine to spark deep discussion and connection. Abstract: At the age of 14, Cliff Ray lost his father in a drowning accident. It was ultimately his father’s visionary, entrepreneurial spirit that led Cliff to leave his career as a real estate developer and take a leap of faith in creating P2P Rescue. Endorsed as the exclusive Official Rescue Board of the U.S. Lifesaving Association, P2P collaborates by listening to lifeguards and water safety professionals around the World. P2P remains committed in its efforts towards drowning prevention by designing and building innovative water safety equipment for those first-responders who put their lives on the line everyday – to save someone elses. Bio: Cliff is the Owner/Founder of P2P® RESCUE, a North Carolina-based company dedicated to building unique, innovative rescue products for various water safety and ocean rescue scenarios. Founded in 2014, P2P initially manufactured and sold competition training standup paddleboards with inset paddle storage. In August 2015 lifeguards on the North Shore of Oahu encouraged P2P to visit Hawaii and research ways to incorporate our unique technology into rescue products. Since then, P2P Rescue is honored to work with and provide rescue boards to over 40 lifeguard agencies in the US, and also fire departments, defense contractors, resorts and universities. At the age of 14, Cliff lost his father in a drowning accident. It was ultimately his father’s visionary, entrepreneurial spirit that led Cliff to leave his career as a real estate developer and take a leap of faith in creating P2P Rescue. P2P remains committed in its efforts towards drowning prevention and is honored to be working with some of the world’s most experienced water safety personnel to design and build its rescue products.